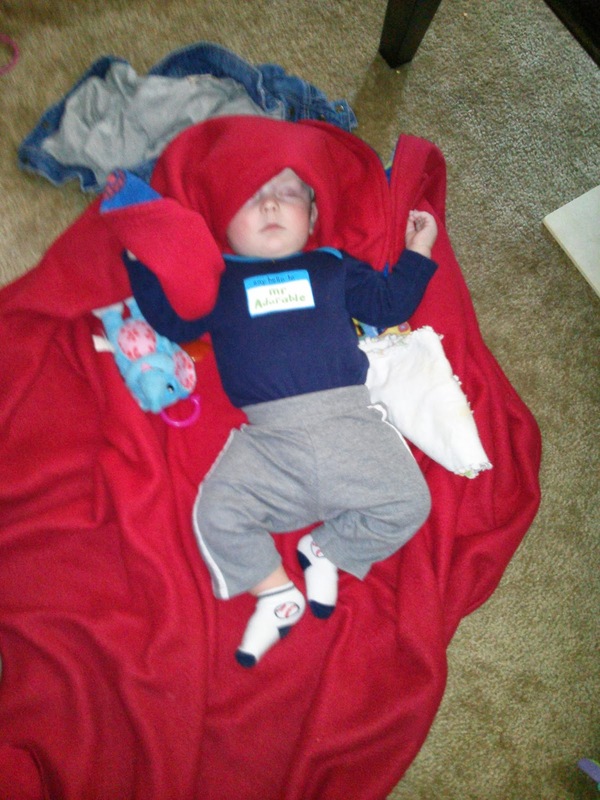 A few days ago Wen managed to fall asleep while playing in the living room twice. I laid him on the blanket to play in the morning as I was getting the girls ready to go to the Y. 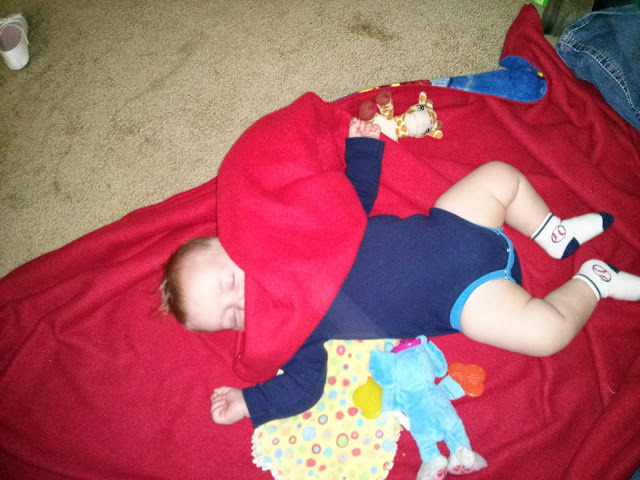 When I came back a few minutes later he had pulled the blanket over him and gone to sleep. In the afternoon, I couldn't help but laugh when I found that he had pulled the blanket over the top of his head before falling asleep again. He was one tired kiddo.